OPEN what - what's the difference? SQL Server provides two functions for doing cross server calls or pulling in files. One is called OPENQUERY and the other is OPENROWSET. The distinction is fairly simple. 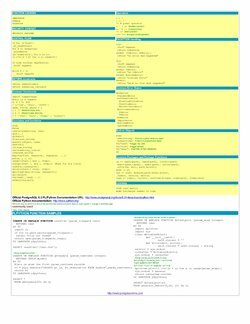 OPENQUERY - needs a reference to an already estabilished Linked server. Linked server as we discussed in our prior article. The SQL Server 2005 examples below use the 64-bit ODBC driver for PostgreSQL and OLEDB Driver for ODBC. If you are using SQL Server 2008 and you have the PostgreSQL OLEDB driver installed, it appears that that is an option under installed providers though we haven't tested that out. For a select from a PostgreSQL table or view or function, you can do this with a linked server, OPENQUERY or OPENROWSET. We shall demonstrate using OPENROWSET. When doing a delete you want your OPENROWSET to return the records you want to delete. In this example we are deleting all the records like 'test%'. Here is an example of doing an INSERT. The important thing to keep in mind here is when doing an insert have your input OPENROWSET return no records. We want our function to return no data so it just provides the field structure and an empty result set to add to. Simple updates not bad. You only want to select the records you wish to update. Cross Updates doable but potentially very slow depending number of records you are pulling and updating. Things to keep in mind, include the primary key, only select the columns and rows you wish to update. Download aplotter.zip from above website and extract. Now there are a bunch of functions in the aplotter lib, but the easiest to use is the plot function. Unfortunately the plot function does a print instead of a return which writes to stdout. To use in our PL/Python, we need to be able to grab that text instead of outputting to screen. I found this trick that seems to work nicely which is documented at redirecting python's print statements to a file except its a bit of a misnomer in that it tells you how to output to a buffer which is just what the doctor ordered. And now we can impress our friends with tricks like this: The below example will draw 2 plots. Now plotting functions is nice, but sometimes we are asked to plot data in a database. Go figure why anyone would want to do that. Below makes fake data, function reads data from a PostgreSQL table and plots it. In this article we shall demonstrate how to create multi-column aggregates with PL/Python. Note you can do this with any PL or SQL language in PostgreSQL, but Python happens to have a lot of nifty libraries we wanted to put to use. 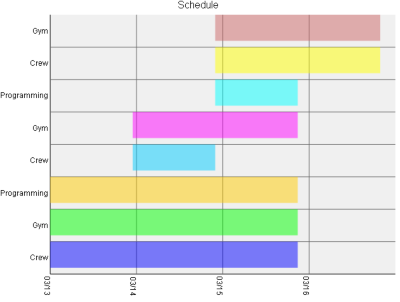 For this exercise, We shall create a function agg_svgschedule. 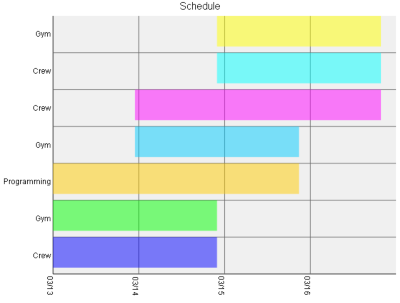 What it will do is plot each grouping of data and return an svg schedule plot for each grouping. This aggregate will take 3 columns - a schedule item, a start date and an end date. The steps we covered in How to create multi-column aggregates, can be applied here. Download and install this nifty MIT-Licensed SVG plot library we found for Python called py-svg http://sourceforge.net/projects/py-svg and borrow it. 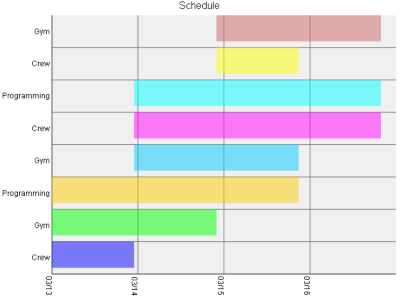 Since PL/Python does not support arrays as input, our aggregator will form a pipe, | delimeted list inputs as a string using svgplot_scheduledatabuild function (which although we wrote it in python need not be and probably more efficient to write in plpgsql). It must be noted that this particular library takes a single paired array of data points. So the number of elements must be in multiples so we need only one delimiter as we had in our ascii plot example.